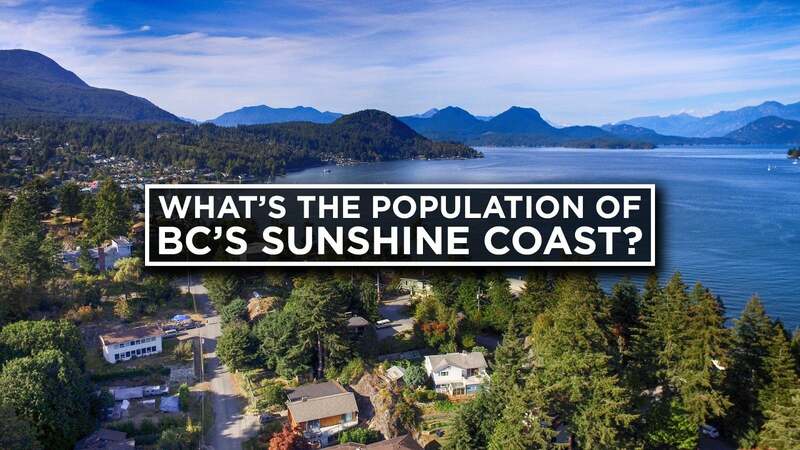 What's the population of BC's Sunshine COast? Today we’re going to talk about the population of BC’s Sunshine Coast. There are lots of numbers in this video but I’ve included links to all the estimates at the bottom of this page. According to BC Stats, the most recent estimated population of the Sunshine Coast is 29,390 people. This includes an area that stretches from Port Mellon, past Gibsons and Sechelt, and all the way up to Egmont. Nearly half of the population live in either Gibsons and Sechelt, with each town having roughly 4,600 and 9,600 residents respectively. The remaining 15,000-ish residents live in unincorporated areas. Since 2011, the population on the Sunshine Coast has increased by 472 people. Stats Can estimates that as of July 2017, 4.8 million people call British Columbia home. That makes BC the third most populous province in Canada.